Modern technologies, coupled with Cold War-era nuclear doctrines and increasing tensions between the US and Russia make a nuclear war a real threat, say high-ranking retired officers from both countries. The New York Times opinion column by former US Marine Corps General James E. Cartwright and retired Russian Major General Vladimir Dvorkin, both from the Global Zero Commission on Nuclear Risk Reduction, warns of the dangers of old nuclear strike doctrines, at a time when relations between the two superpowers are at such a low point. They call on Moscow and Washington prevent possible provocations. It says there are three strategic options at the two countries' disposal, which are relic’s of the Cold War: striking first, retaliation after an attack and launch on warning. The final option is seen as the one posing the most danger. Under the launch-on-warning strategy, a country fires its nuclear missiles after it detects enemy rockets have been launched. It is aimed at being able to use the missiles before they are destroyed by the incoming attack. Launch detection is carried out by satellites and ground-based radars, which give the target country a window of 10 to 30 minutes in which to decide whether to launch a nuclear strike of its own. The two generals say this system is susceptible to provocations and malfunctions. With the advent of precise computer technologies, the chance of such an error occurring has been decreasing. However, at a time when cyberattacks are becoming increasingly common, the danger of someone deliberately triggering a false warning has jumped. "This makes it all the more critical for Russia and the United States to talk, to relieve the pressures to “use or lose” nuclear forces during a crisis and minimize the risk of a mistaken launch," their article reads. The US and Russia have signed a joint nuclear arsenal reduction treaty called New START (Strategic Arms Reduction Treaty), in April 2010. 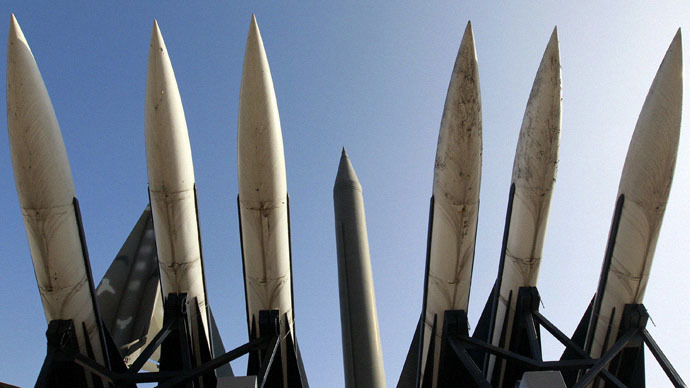 It is aimed at drastically decreasing the number of nuclear weapons available to both nations. Despite both Russia and the US complying with the treaty and reducing their arsenals to about 1,500 warheads each, they remain in possession of two of the world's largest atomic payloads. Cooperation on the treaty remains "a silver lining" amid growing Russia-US tensions, Assistant Secretary of State Frank Rose said on Thursday: "At such a hard time it is highly important to maintain transparency in the displacement and deployment of strategic nuclear weapons... The two sides have made a significant progress over the restrictions presumed by the treaty by February 2018".